The sponsor of a bill meant to impose additional restrictions on minors seeking abortions without parental consent will not pursue a controversial provision that would have required women to show a form of identification. Originally, House Bill 3994 would have required all doctors to presume a pregnant woman seeking an abortion was a minor unless she could present a “valid government record of identification” to prove she was 18 or older. 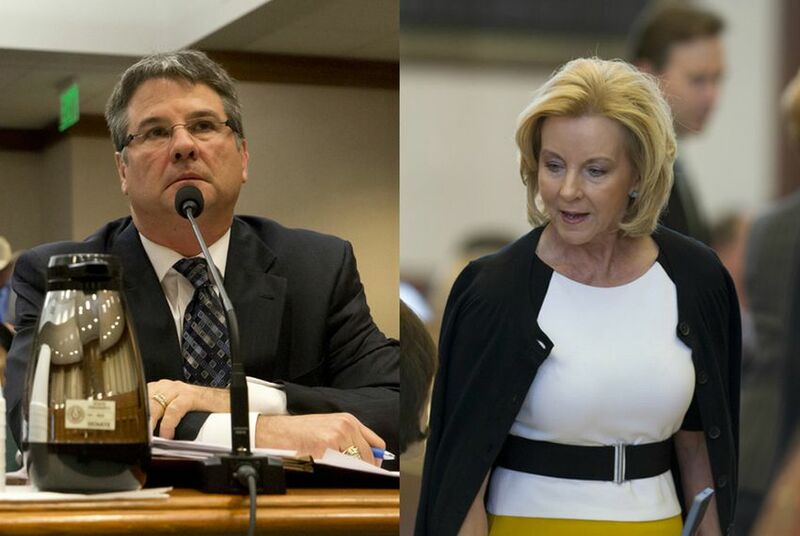 Republican state Sen. Charles Perry of Lubbock, the bill sponsor in the upper chamber, will amend the bill when it is considered on the Senate floor on Monday to withdraw that requirement. Under the new language, a physician must use “due diligence” to determine a woman’s identity and age but could still perform the abortion if a woman could not provide an ID, according to a copy of the amended bill obtained by The Texas Tribune on Sunday. The ID requirement — dubbed "abortion ID" by opponents of the bill — was among the most controversial provisions of HB 3994, which is focused on tightening the requirements on “judicial bypass,” the legal process that allows minors to get court approval for abortion without their parents’ permission if obtaining consent could endanger them. The new language was negotiated over the last few days after the measure was cleared by a Senate panel last week. "Since sponsoring this legislation, Sen. Perry has met with a variety of stakeholders and other legislators to ensure HB 3994 modifies current law to protect minors, strengthen parental rights and reduce abortion,” Perry spokesman Travis McCormick said in a written statement. “As drafted, the legislation is agreed to by all major pro-life organizations." Democrats have fiercely opposed the measure, and some have cautioned that it could leave the state open to a lawsuit. They argue it violates a U.S. Supreme Court ruling that minors must be afforded a judicial bypass option that is expeditious, confidential and offers an “effective opportunity” for an abortion to be obtained.